The ITEC Diploma in Anatomy & Physiology course is intended for those who wish to learn and gain an internationally recognized qualification in this subject. This ITEC Diploma course is suitable for students who would like to take this course as an individual subject and ITEC qualification. Anatomy & Physiology is the core module to all holistic practical training (massage, reflexology, Indian Head Massage, etc). This course is a compulsory module for students studying Reflexology & Holistic Massage. No experience or knowledge is required in order for you to attend the ITEC Anatomy & Physiology Diploma. If you haven't studied for some time or if you did not complete secondary school or take examinations that is no problem you will find this course well structured and easy to manage. Upon successful completion of the training you will receive your Diploma in Anatomy & Physiology from ITEC . Once you have achieve your Anatomy & Physiology Diploma if you so desire you can continue with your studies in massage, reflexology, aromatherapy, sports massage, Indian Head Massage, Hot Stone Massage, Reiki, Diet and Nutrition etc. The aim of this course is to train you to a very high level so that by the end of this training you will have an extremely detailed and broad knowledge of Anatomy & Physiology. An integral part of the training in Anatomy & Physiology is the connection between the physical structures of the body and treating the whole person, body, mind & spirit. Our tutors are highly experienced Anatomy & Physiology teachers some with over 20 years of experience. It is our aim in teaching Anatomy & Physiology to bring to you this fascinating subject in a down to earth interesting and exciting manner. 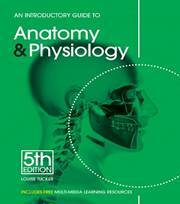 We make Anatomy, Physiology & Pathology easily accessible and memorable to all. At Green Tara College we aim to support you in every way possible with your studies and include exam preparation & study guide classes in the training. The tutor will take you through each system in detail bringing a new awareness that will help you enhance your understanding of how the body works and your well being. You will also, upon completion of the training, know how to apply this knowledge to the holistic field. The syllabus is easily laid out so as to be accessible to all. The time between each lesson allows you the opportunity to study in detail and to gradually build on your knowledge. Students are welcome to tape the classes to aid learning! Course Fee: €350.00 special offer + examination fee of €150.00. Difficult to attend each class ? With people in mind who are working shift work, studying other courses or have varying commitments, we have structured the anatomy to allow you to take it at your own pace if you have difficulty attending a full course in sequence. Our anatomy is structured that you can join any class at any stage in the Diploma. We teach one system per class, all you need to do is to attend a class for each of the systems of the body (we will guide you on this) whenever it suits you, then attend for assessment preparation. Examinations can be taken at any time during the year. We offer an online or paper exam. Please do not hesitate to get in contact if we can help with any further information or if you would like to arrange to call in and meet us. Please contact 'Majella' at the College for any queries or booking forms via email, telephone (046 90 60 600) or post your deposit to M.Fagan, Green Tara, Boyerstown, Navan, Co. Meath and we will forward the forms to you with your receipts and attendance details.